I have a 9-year-old kiddo I’m working with who is going through a lot of health and personal issues. He told me this morning, “I really like you Ms Kira, you make me feel not so stressed. That’s why I give you a hard time! !” Lol. –Kira R.
I work with a young boy who struggled with basic compliance and communication. After a few months his work tolerance has improved and he is excited to see therapists when they arrive. 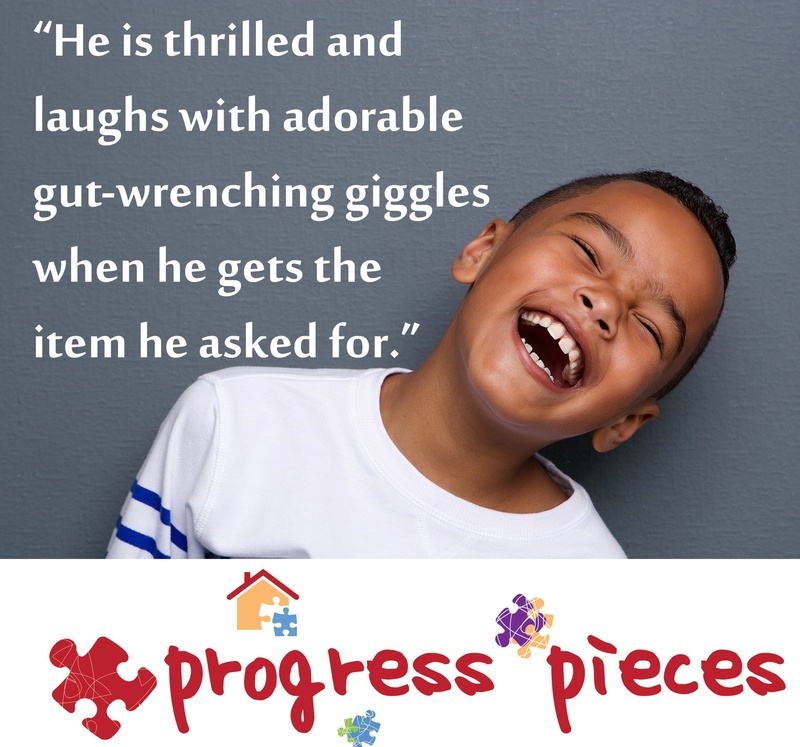 He is thrilled about his communication device and laughs with adorable gut-wrenching kid giggles when he gets the item he asked for. It is beautiful to see him gain his voice and learn how to use it. -Michelle C.
A week ago my itty bitty three year old, upon hearing hello, came independently from another room, made eye contact, smiled, and grabbed my hand to lead me to where he was playing. We have been working on greeting, and interaction. It was a beautiful moment to see your kiddo want you to be a part of their interests. -Sian S.